The Joe of the Week is Blaster v1. Blaster was released in 1987 as part of the Battleforce 2000 G.I. Joe unit. This is the my first Battleforce 2000 figure. I never owned any as a kid and have not really been on the lookout for any, however I got several figures in the Big Joe Haul 2018, and had some accessories from an earlier lot and was able to complete several figures. My thoughts on Battleforce 2000 as a whole is sort of negative. I never found the appeal of these figures and vehicles when I was a kid and still do not today. I think most of the figures have an unimpressive design and the vehicles are cheap looking. The best thing they have going for them as a set is their removable head accessories. 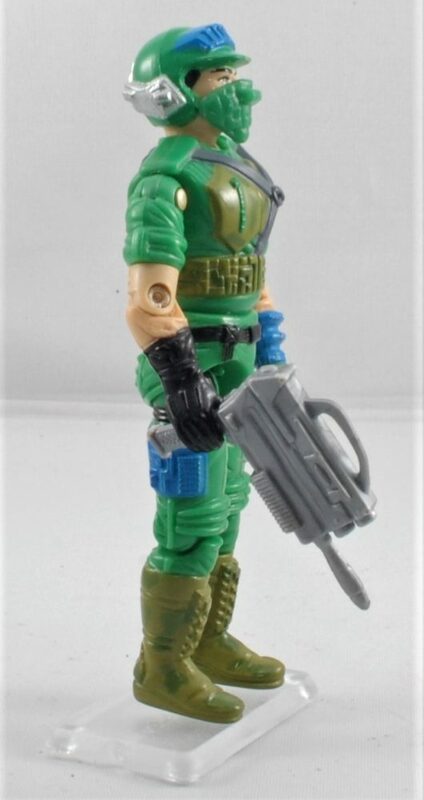 Still to this day I think that G.I.Joe going to far away from traditional military look is what killed them. 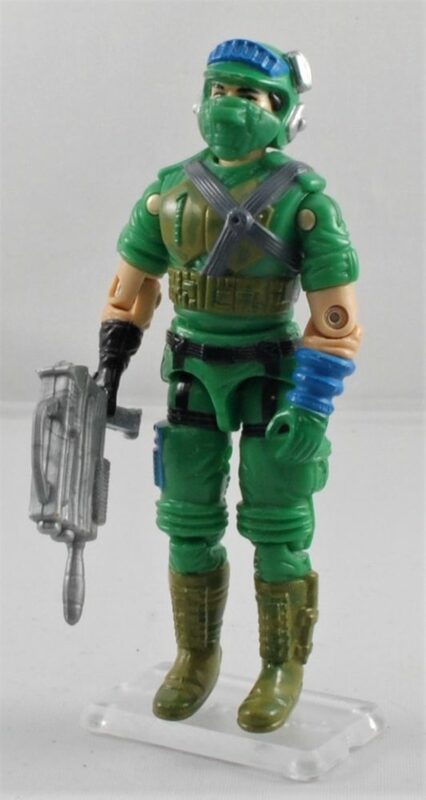 Its fine that Cobra is all crazy and non-traditional, but the Joes should have stayed a bit more grounded in reality. Thats what I always wanted as a kids, tanks and fighters, not 12 wheeled swamp buggies. All in all Blaster is one of the better looking BF2k figures. He looks like a military figure and does not have any outlandish color or design feature. I really like his removable mask, it was the best removable accessory in the BF2K line. His weapon is another matter. Why make something like this? Just give him something a bit more traditional. It is one of the worst weapons in the entire 1980s line. Also what is up with him having 2 different gloves on? So lets talk about the Vindicator. This is a BF2K hovercraft vehicle. While I cannot find anything talking about him being the dedicated pilot for this craft, it does mention on the back of his card that he designs and builds hovercraft. 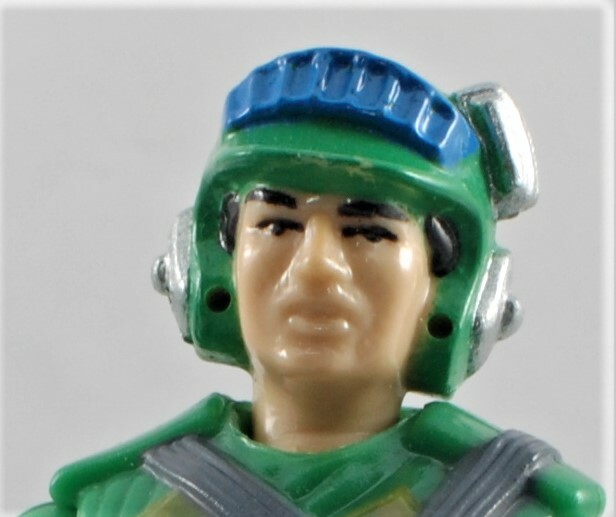 He is also on the Vindicator cover art, but I was having trouble finding other information that states that is his primary role.